Stillwell is a multi-layered book that deals with the main character Paul, in the days following his young wife's death. Suddenly, he finds himself as single parent, trying to balance three children, mundane household chores as well as his career as a Realtor. Plagued by nightmares in which his wife's soul is being held on this plane by a demon, Paul finds it hard to concentrate on much of anything. When his friend Craig asks him to sell his parents house Stillwell Manor, Paul finds himself with another shock. One of the former inhabitants of the Manor bears a striking resemblance to his late wife, and it is said her ghosts haunts the Manor, grief stricken after her own death and the death of her husband. Suddenly, Paul is caught up in the Manor somehow knowing that if he solves the mystery of Hannah and John, he may be able to put his own demons to rest. I was caught up in the novel from the very beginning The author seamlessly blends all aspects of the novel into one spell-binding tale that grabs your attention and won't let go. You are able, as a reader, to feel a connection to Paul, so much so that you cab sympathize with his grief, and the struggles he finds himself faced with. The ended was quite the surprise if I may say so. I was expecting something completely different which caused me to take a moment to reflect. I will admit, while some may be disappointed with certain aspects of the book, I was not. I found it to be quite fitting for the novel and I feel strongly that it will give the reader something to think about. 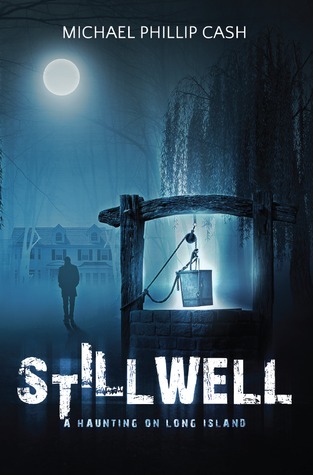 DISCLAIMER: I received an copy of Stillwell: A Haunting on Long Island in exchange for my honest review. This has not reflected on my review in any way.